FRESHLY PAINTED EXTERIOR AND READY TO MOVE IN PROPERTY! Welcome to this gorgeous one story single family home, 2280 heated SQ Ft, with 4 bedrooms/3bathrooms and 3car garage and with no rear neighbors. As you enter the foyer, you are greeted by a separate formal dining and living room with tile flooring. Down the hallway, you will find the large family room and kitchen with an open concept, 18-inch ceramic tile throughout. The kitchen offers plenty of counter space, 42â Oak cabinets, a walk-in pantry, and breakfast bar and granite counter top. Enjoy the luxury of a split floor plan with the master off to the left and other three bedrooms to the right of the home. The master bedroom has plenty of room for a king size bed, a seating area and has sliding doors to the patio area. Master bath features his and her walk-in closets, a walk-in shower, dual sinks, and a tub. Other features of this home include: inside utility with the washer/dryer hookups, brick paver driveway and a spacious backyard with a conservation behind it, covered back porch and ALL appliances are included! This community has a LOW HOA , a lake with a fishing dock, playground and picnic area. 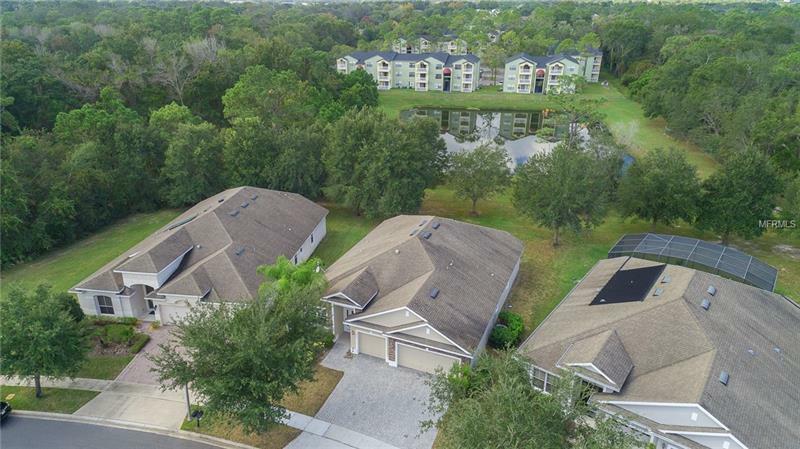 It is conveniently located near UCF, Valencia College East Campus, Full Sail University, and just minutes from Downtown Orlando. Schedule your showing today! Pet Restrictions: For deed and pet restrictions and any questions about HOA, please contact HOA at (407) 647-2622.